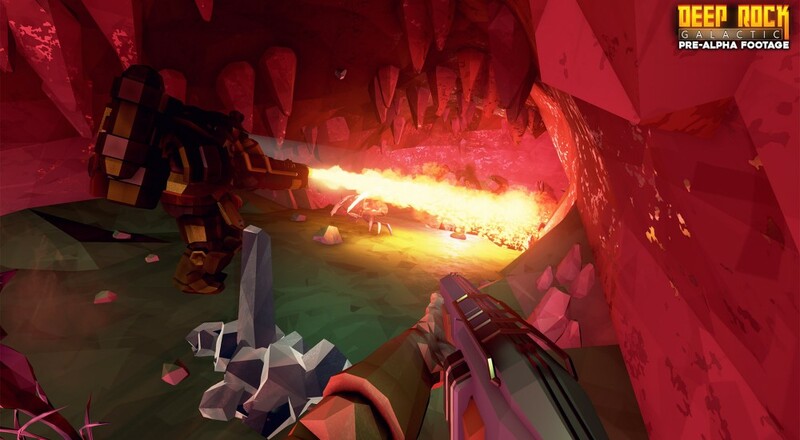 Deep Rock Galactic is an upcoming "mining" game, but not like THAT mining game. You're dropped in a four player co-op FPS game with friends tasked with one thing - finding that sweet bling. Get ready to dig deep into procedurally generated cave systems in this frantic fps co-op action game. In Deep Rock Galactic, you take the role as a space dwarf, ready to do what dwarves do best, dig for minerals and gold! You can sign up for the closed alpha now on the game's official website. It'll be launcher later this year on Steam Early access. Page created in 0.6403 seconds.